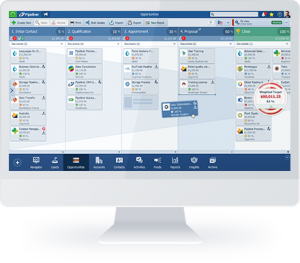 Sales opportunity management software is a vital requirement for any company that wants to greatly succeed and expand their selling efforts. 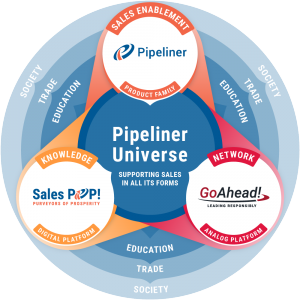 As a lead moves along the sales pipeline, at some point, it becomes an opportunity. This means it has the real potential of becoming what everyone in the sales force is after: a closed sale. Whereas qualifying a lead might be relatively simple, opportunity management is a bit more complex. 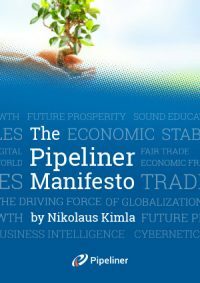 This is because the stakes are higher: a well­-paid salesperson is now going to invest valuable time into working the opportunity, engaging key people at the target company, making presentations, and utilizing all possible sales techniques. Other departments will likely become involved also. Tech support might be standing by if the prospect company is utilizing trialware or a demo. Marketing might be armed to provide specific materials to help the sale along. Executives in the company could be standing by as tags on the sale. Everyone is betting that this opportunity will pay off, but there is always that risk factor. Not all sales close. Will this one turn to profit, or become expensively wasted effort? Although they don’t necessarily enjoy sharing them, every seasoned sales veteran has plenty of stories involving losses. Despite the best sales techniques, a sale can go off the rails for any number of reasons. It turns out the salesperson isn’t dealing with the actual decision maker or makers. It comes to light halfway through the sales cycle that the budget actually isn’t there. Someone in the prospect company doesn’t like your company for some reason and sours enthusiasm for your product or service. The prospect’s buying pattern isn’t fully understood. A competitor comes in under the radar and offers your prospect a deal they just can’t pass up. A salesperson can be a total genius with sales techniques—yet still, lose the sale. How can the odds be improved in favor of your sales force and your company? The essential key to opportunity management is accurately evaluating the risk factors. 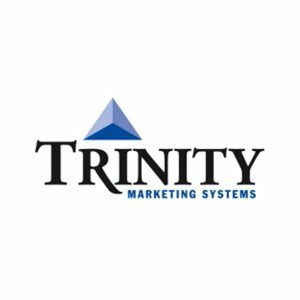 That is, knowing all about your target prospect company—at the very least understanding the industry and how most companies within it operate. 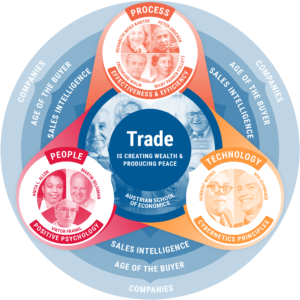 Knowing which employees within a company are vital to engage as part of the selling process. Having an understanding of your target company’s buying process. And of course, knowing all the qualifying questions to ask before considerable time and effort is invested. 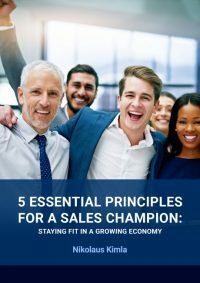 All of these factors should be part and parcel of your company’s sales process ­­and the tasks and activities that go into each stage of that sales process. 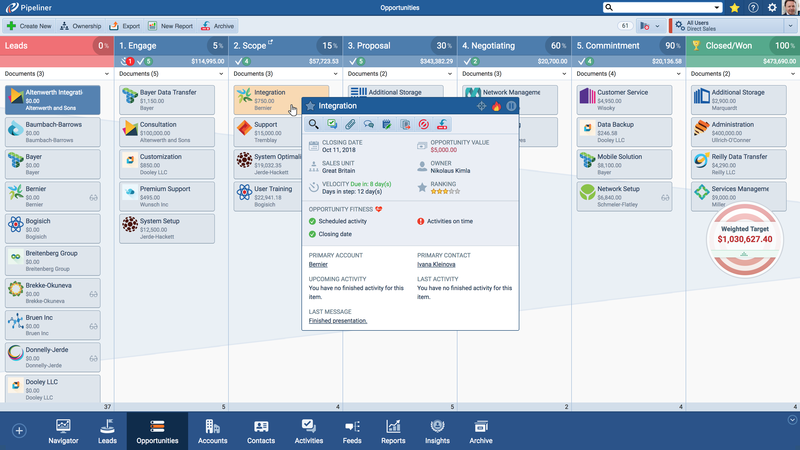 Today, sales opportunity management is not likely to succeed without an effective CRM solution. 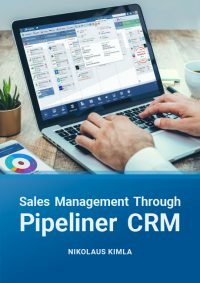 It’s practically a scientific fact that the further up the pipeline a sale travels, the more vital it is that the CRM application in use must be able to provide precision analytics directly in line with your company’s sales process. Fully understanding sales opportunity management, and then implementing it through a robust and effective CRM solution, is crucial to a company’s survival and success.